Enter your information HERE to gain access to GREAT rent to own houses in Quakertown and Surrounding Areas. Also get email alerts when new Quakertown and Surrounding Areas rent to own homes are available..
Weak or Blemished Credit? We Have Rent to Own Homes in Allentown and Surrounding Areas Available For You! If you’re tired of renting, and you want to own a home in Allentown and Surrounding Areas but your credit, lack of down payment, or income hold you back from qualifying for a normal back loan… a “rent to own”, often called “lease option” or “lease purchase” may be a great fit for you. We specialize in helping Allentown and Surrounding Areas residents earn the satisfaction of being a home owner through our Allentown and Surrounding Areas Rent To Own Home Program. Cyndy Sells Houses offers great rent-to-own houses and apartments in and around Perkasie… in conjunction with our help to get your credit up so you can purchase the home in as short of a timeline as possible. Sign up now to see Allentown and Surrounding Areas rent to own houses! 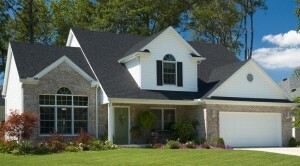 What Are The Types Of Rent To Own Homes In Allentown and Surrounding Areas We Offer? Our local rent to own homes in Allentown are move-in ready, in good neighborhoods, and often freshly updated. Inquire with us on this site for available properties. Step 2: We’ll look at your situation, the type of property you’re looking for, and show you your rent-to-own options here in Quakertown and Surrounding Areas. 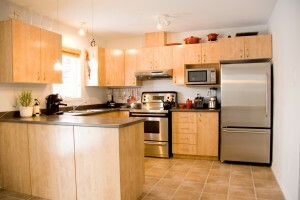 Step 3: View the local Allentown and Surrounding Areas homes that fit what you’re looking for. 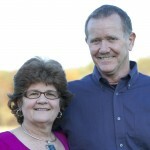 Cyndy Buys Houses is a division of Insured Home Buyers LLC and is owned locally by Tom and Cyndy Dumire. Cyndy has been volunteering in various local organizations for many years including Easter Seals, Plumstead Christian School, 4-H, the Quakertown Park Board and currently works helps run a "Night to Shine" Special Needs prom with the Tim Tebow Foundation. Tom owned and operated Dumire Electric serving the Bucks and Montgomery counties from 1981 to 2010 and now serves for DIG investor group in Fort Washington and for Morning Star Fellowship in Quakertown. Tom and Cyndy are animal lovers and have a poodle "Libby" and an adopted cat "Indy"
Cyndy did a wonderful job in buying our home. It was very quick, efficient and effortless. In fact, even my realtor advised that this would be the best route to go for the sale of this home. Rather than having the property sit for months on the market and having to keep the property in pristine condition for showings and leaving the home while they showed it, we opted to work with Cyndy and Tom - Pat R.
LEGAL DISCLAIMER: Rent To Own refers to properties for sale with lease-option financing. This site does not charge for rental listings and is not a Pre Paid listing Service. Terms of credit during rental period dependent on agreement with homeowner. Terms of credit may affect ability to qualify for home loan at end of lease period. Depending on terms of agreement with homeowner, homeowner will apply portion of monthly rental payment to down payment of property for purposes of purchase at the end of lease period.